Small Success Thursday: Almost Christmas Edition! Welcome to Small Success Thursday, hosted by CatholicMom.com. It’s in these posts that we can share our joy with each other, even if the successes seem to be small-scaled to the rest of the world. No matter! God tells us through his saints that we aren’t required to do huge tasks in this world, but to do the tasks we have, even the small ones, with great love. This is what makes the world go ’round! My successes this week are all Christmas-related, even as we are in the final week of Advent. First, after a week’s delay, our girls performed in the Christmas show at my 12 year old’s dance studio. Our 15 year old was in the drama class this Fall, and she had a line in the Charlie Brown skit (which lead to a beautiful monologue of Linus’ explanation of Christmas to Charlie Brown, performed by the teacher’s 5 year old son). She also had a monologue all to herself, playing the part of the “Boss Elf” who gives her annual lecture to the new elves on staff. My 12 year old had three numbers, including a Rockettes-style routine at the end of the show. Needless to say, we’re thrilled with both girls’ performances. It’s a success for me because I didn’t freak out, I got the costumes adjusted where necessary, and we had a great afternoon! Next up was the decorating of the house. We finally finished that on Tuesday, to the detriment of most school lessons for the day. But the house is decorated and the boxes are tucked away until next year. So that’s a win, people. Finally, after a lot of procrastinating, I have written our family Christmas letter this morning. Banged it out in a couple of hours, including adding pictures to it. Now all I need to do is print off labels for Christmas cards and stuff a bunch of envelopes. Good thing Christmas goes into January! How’d you do this week? 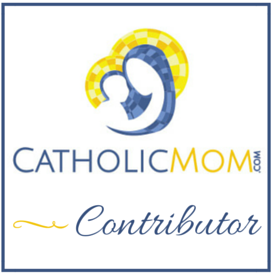 Share your Small Successes here in the comments, or if you have a blog, link up at CatholicMom.com!